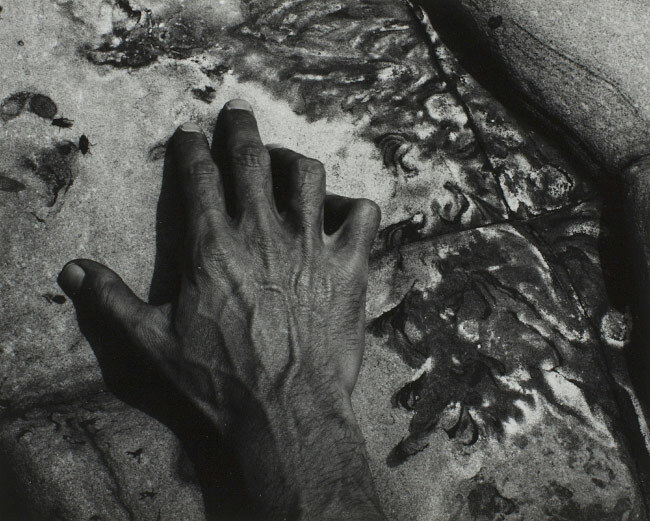 Minor White (American, 1908-1976), William LaRue, Point Lobos, California, 1960, No. 4 from Sequence 15A, sequenced 1960, Gelatin silver print, gift of Judy Hatton, reproduced with permission of the Minor White Archive, Princeton University Art Museum, ©Trustees of Princeton University. Ansel Adams, Paul Strand, and Edward Weston and his son Brett each produced significant, limited-edition portfolios for the mid-20th century’s burgeoning photography market, while Minor White assembled “sequences”—painstakingly assembled and periodically reworked groupings of photographs. FOTOFOLIO brings together four portfolios and one sequence in a single exhibition, charting each artist’s motivations surrounding image selection, production, and order. These complete portfolios and sequence, displayed as originally assembled, encourage visitors to experience the photographic suites in their entirety and discover new relationships among the works. FOTOFOLIO is organized by the Portland Art Museum and curated by Julia Dolan, Ph.D., The Minor White Curator of Photography.